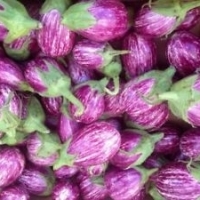 Thai Eggplant, produces round eggplants of 2" in diameter with green stripes on the skin. 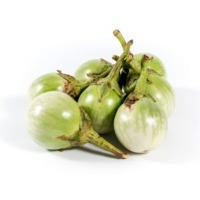 The tomato-like eggplants are very popular in Thailand and Vietnam. 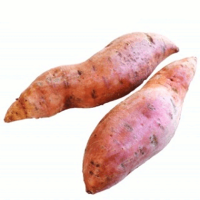 They are used extensively in many Asian foods and have appeared in many Oriental supermarkets on the West Coast. Short on time? Let eggplant sellers contact you. Compared to the familiar American eggplant, the Chinese eggplants have thinner skins and fewer of the bitter seeds. Bluedrop International Comodities Pvt. Ltd. Product Detail Type: vegetable Max. Moisture: 92 % Additives: Non Processing Type: plant and harvest Long: 15 20 cm Weight (kg): 0.05 0.1 kg/ piece Shelf Life: 1 2 weeks Place of Origin: Vietnamese Brand Name: vdelta Model Number: Certified eggplant Packaging: Bag, box Packaging & Delivery Packaging Details: 20kgs/net carton We also do the packing in customers demands. For the eggplant was very good. In India, brought eggplant to make drugs. 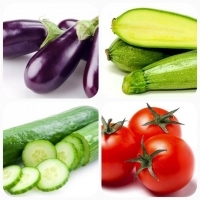 The eggplant is a disease that reduces inflammation, aids digestion and helps to excrete. It also has research The results showed that eggplant is effective to reduce the compression smooth muscle cancer care, heart and lowers blood pressure. It also reduces blood sugar for people with diabetes as well. Extracts from eggplant to act like insulin. The supplement use glucose efficiently. And have a positive effect on the function of the pancreas. 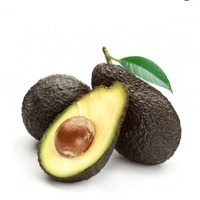 It also contains vitamin B1, vitamin B2, vitamin B2, vitamin C as well. Owing to the efforts of our skilled professionals. 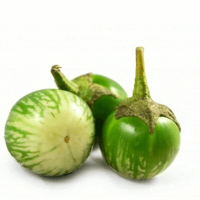 we have been constantly engaged in offering a qualitative assortment of Fresh Brinjal. Packaging Details: Carton or Bags. Jinan Bright Sunshine Imp.& Exp Co., Ltd. Product description: Dehydrated eggplant flake Dehydrated eggplant dice Dehydrated eggplant slices AD eggplant FD eggplant Air Dehydrated eggplant Eggplant slices Specification: Natural, max moisture: 8%. Packing: 9-20kg/ctn, inner double plastic bags per carton. For more details, please, contact directly on e-mail. Mangosteen (mahngkoot) is often called the Queen of Fruits, due to its cooling properties, in contrast to the King of Fruits, Durian, with its heatiness. The fruiting seasons of the two coincide and they make a very nice combination. The husk or exocarp of the Mangosteen is a leathery purple shell which, when opened, reveals the soft, white fruit which is quite delicate and consists of 4-8 segments, the larger of which contain seeds. The fragrant, fleshy fruit is both sweet and tangy. 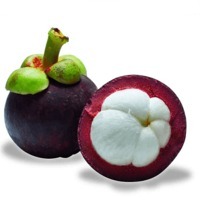 Our Mangosteen comes from growers in Thailand, India, Indonesia, China and Vietnam. 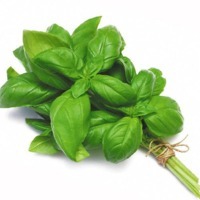 Basil : 1 x 20' container, specified to buyers requirements.